Bon Vivant Gourmets - Bayou City Seafood and Pasta - Our "go to" place in Houston for Louisiana style cuisine! 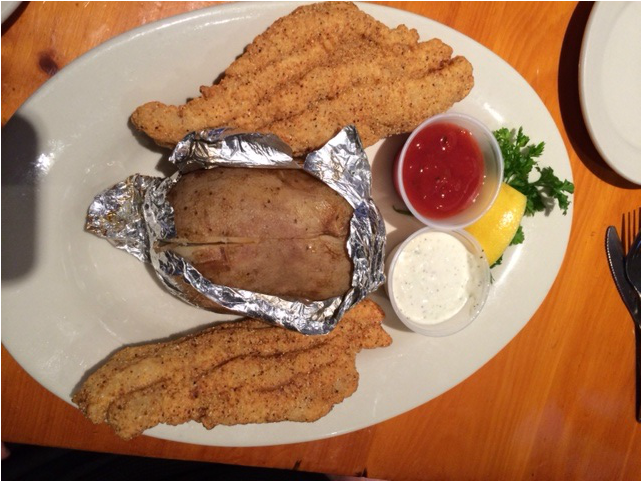 Bayou City Seafood and Pasta has always been our "go to" place if we ever needed some original Louisiana style cuisine. 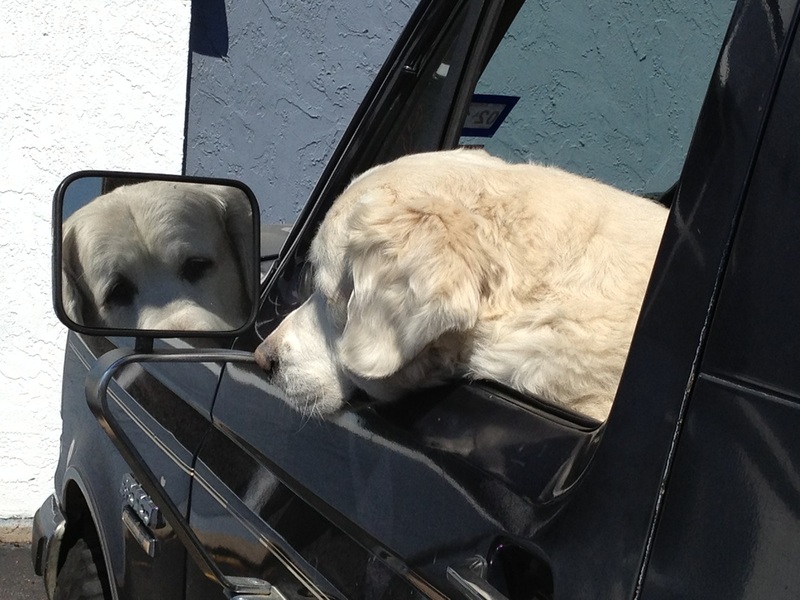 It really is a cool place in the Galleria area of Houston and often there's a large pick-up truck parked out front loaded with beautiful white Newfoundlander dogs. 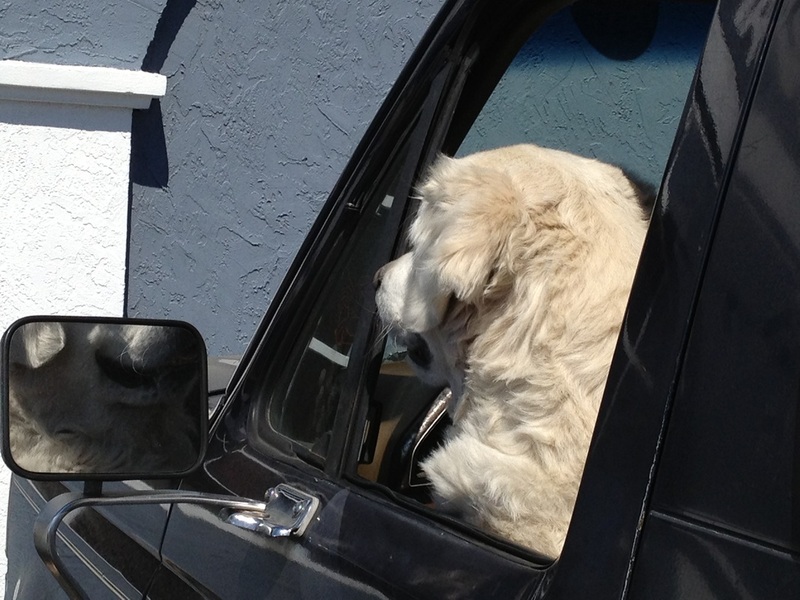 Inside, hanging on the walls, are surfboards painted of dogs surfing the waves. For authentic and affordable Louisiana cuisine, this is really the best in town. We do apologize for the limited photos, but we were always too busy eating to take any! 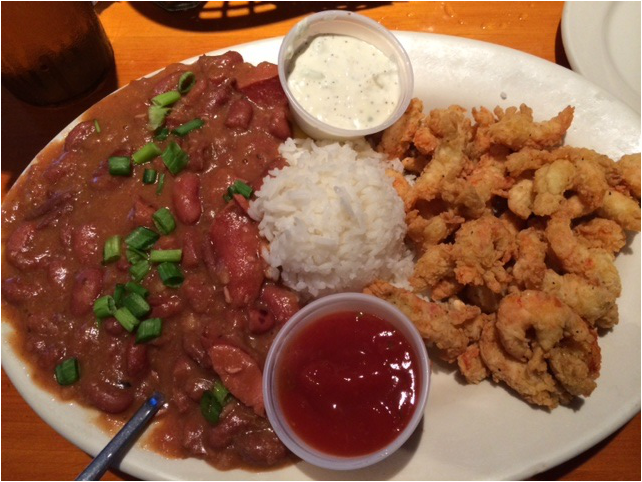 Red beans and Rice with fried Crawfish - this is one of their lunch specials of which there is an abundant selection and variety. The crawfish are fresh, crisp and fill up half the plate! The red beans are rice are slow simmered and taste as if they were flown in that morning from the French Quarter. The truth is, they just know how to make them correctly. This is a great dish to order if you don't feel like cooking later that evening because even the most eagerly famished of Texans won't be able to clean the plate! Fried Catfish with baked potato - These are very large fried catfish! Both are about 1/2" thick and provide significantly more catfish than crust (which is the common mistake at other restaurants that don't fully understand how to fry catfish). Lightly lathered in simple cornmeal, with salt and pepper, they let the natural flavors of the fresh catfish shine. A gentle sprinkling of lemon juice completes the perfectly fried catfish! The fully loaded baked potato is quit the experience! The fixin's (butter, shredded cheddar cheese, scallions/chives, sour cream, diced bacon, etc) are so abundant they bring them to the table on their own elevated silver tray (not pictured).